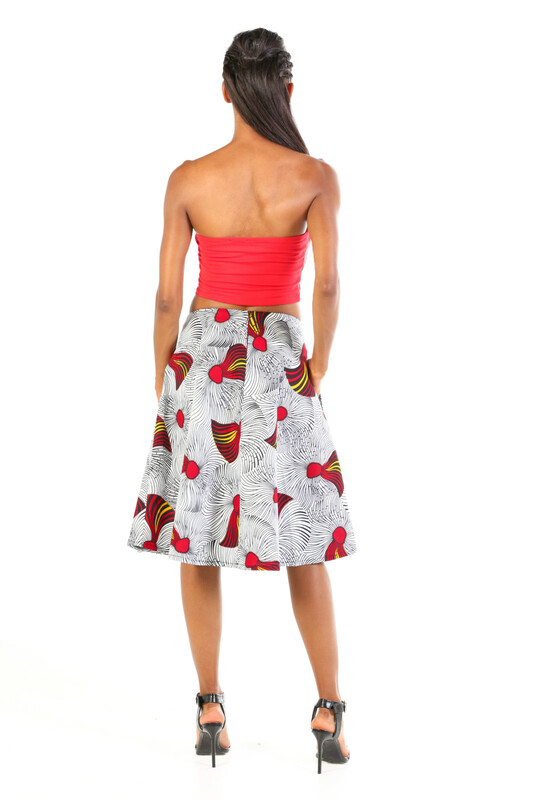 Ankara A line skirt made with 100% cotton. It features pockets at the side for that ultra-modern look. The length sits just below the knee. 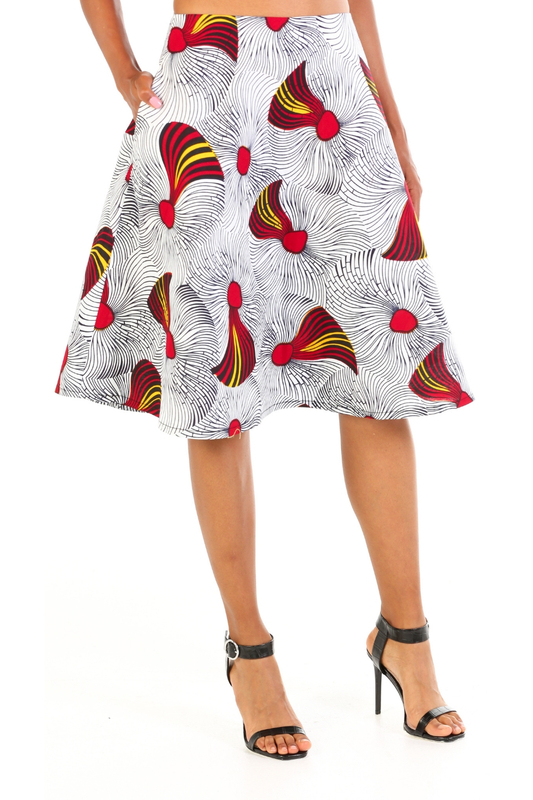 This skirt looks great teamed up with flats or high heels. 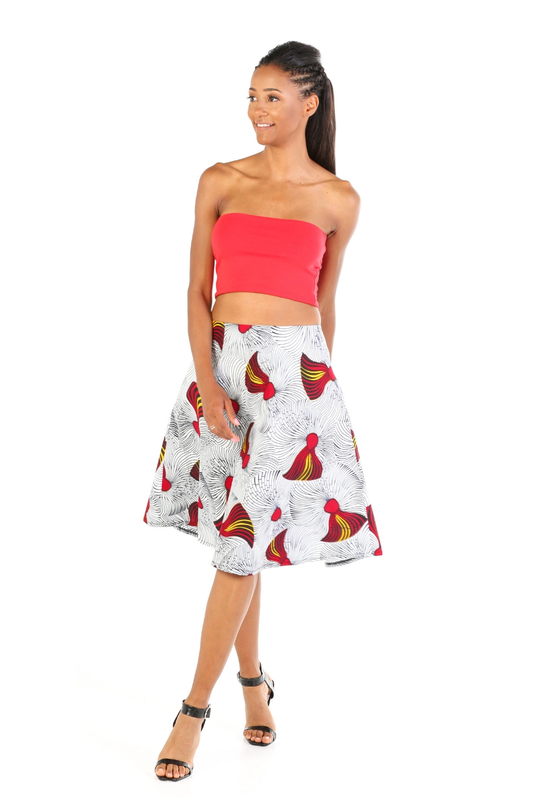 This is a cute skater style skirt it has a soft A line shape cut on the bias grain an African print using geometric cloth for you bold girls who love to show your legs.